The internal carotid and vertebral arteries. Right side. 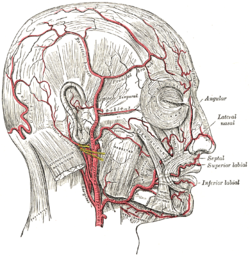 The nerves of the scalp, face, and side of neck. Posterior primary divisions of the upper three cervical nerves.